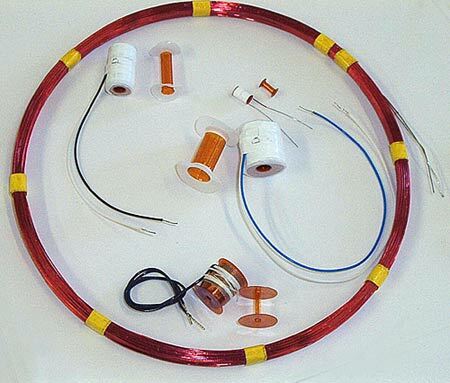 Coils, wire-wound coils, and bobbins from Dia-Netics, Inc.
Do you need thin-wall Kapton bobbins, Kapton/Teflon Bobbins, wire wound coils, and/or components? Dia-Netics has the engineering expertise to develop the coils you need. And we can produce the wire wound coils and components you want. Carry out the complete development of new products. Produce all wire wound coils and components, complete them and test the components. Carry out computer data acquisition of electrical and temperature test and calibration requirements. Provide precision, high reliability .003 thin wall Kapton/Teflon bobbins, both custom and standard. Give you high quality at competitive prices.